Caroni 24 yo 1982/2006 ‘light’ (55.2%, Velier, Trinidad, 820 bottles) Colour: dark amber. Nose: not much tar indeed, but a lot of shoe and metal polish, with a feeling of petroly riesling that I just enjoy a lot. Walnut cake, smoked beef, oxtail soup, and the largest chocolate cake ever. With water: rather more metal polish, old copper kettle, old coins, old Jaguar… Mouth (neat): high oak extraction, huge liquorice, and a touch of citrus. This is almost liquid liquorice, in fact – and I love liquorice. With water: swims like a champ, really. Perfect diesely oranges and a few ashes. Works a treat. Finish: rather long, rather on oranges and smoke, and at times you’d think of Lagavulin 16 (some older White Horse bottlings). Comments: well, light, everything’s relative, as Einstein used to say (c’mon S., that was weaker than weak.) I found less oak than in other 1982s, which is good of course. SGP:462 - 89 points. Caroni 23 yo 1982/2005 ‘light’ (59.2%, Velier, Trinidad, 1227 bottles) Colour: coffee. Nose: a pack of little bretzels, and then mole sauce, walnut stain, barbecued steak (burnt, really), chocolate, black tea, fumes, carbon paper, and a handful of coffee beans. Should sum it up. With water: gets very dry. Basalt, ink, lapsang souchong, coffee… Mouth (neat): almost agricole at first sips, with oranges and always this chocolaty, almost cake-y side, but we do become much more petroly after a short while, with oranges that have macerated in kerosene (what?) and our beloved Jaffa cakes. Not heavy for sure, but not very light either. Some good coffee as well. Nah, it’s excellent. With water: smoky jams galore. Marmalade and cigars, in other words. Finish: long, coating, toffee-ish, rather smoky. Let’s keep using whisky references if you like, we could say this is akin to some lighter, easier Caol Ila Manager’s Dram. I agree, it’s not that light. Comments: you know what? I wouldn’t have told the masses about the ‘style’ of these Caronis. Was this really ‘light’? Brilliant bottle, oh and brilliant labels. SGP:452 - 91 points. Caroni 20 yo 1997/2017 (64.8%, Silver Seal, Trinidad, cask #67, 212 bottles) This will be the only ‘young vintage’ we’ll have today, and I don’t even know whether this is ‘light’ or ‘heavy’ Caroni. Colour: amber. Nose: light, perhaps. A little alcohol at first (fruit eau-de-vie), then rather fermenting fruits and vegetables, light manure, French beans, a little brine… It’s only after a good five minutes that heavier notes emerge, such as coal tar and smoked ham. With water: fresh paint, putty, and tarmac. Probably not ‘light’ Caroni. Mouth (neat): bang. Diesel oil, gherkin brine, green lemons (not lime), tincture of iodine, fresh coriander, green wood… With water: love it because there isn’t any over-woodiness, which lets the distillate talk. And boy it’s got things to say! Tar, rubber, creosote, ashes, ink, tapenade… But it’s not stuffy, some elegance remains in the middle (kind of). Finish: long, a tad rounder, but this mixture of smoked water with lemon juice and olive brine just works. Comments: a clearer, more distillate-driven one. Probably European stock (as opposed to tropical stock). SGP:342 - 90 points. Caroni 22 yo 1984/2006 ‘heavy’ (54.6%, Velier, Trinidad, 580 bottles) Full tropical aging this time, and fully at Caroni’s. Colour: full amber. Nose: yeah well, this is a good example of some heavy Caroni that’s lighter than light Caroni. In truth this could be some excellent agricole, with bananas and roasted peanuts, plus notes of croissants au beurre (yep I’m French) and the faintest whiffs of cooked asparagus. Rose petals as well, blood oranges… With water: wonderful old perfume and notes of old garage tools, engine oil, and ten thousand carbon papers. Mouth (neat): not a lame duck at all, I just love this marmalade/petrol combo. It’s not very complex, but what it does it does it very well. Smoked oranges, bergamots, sweet curry, bitter chocolate and a liquoricy tar. Crunching tyres (don’t try that at home!) With water: more garage-y than ever, leather polish, motor oil, plastics… Finish: long, a tad acrid, and very petroly. Comments: it’s not complex, but I just love this garage-y style. Don’t some distilleries make biofuel as well? SGP:364 - 90 points. Caroni 22 yo 1983/2005 ‘heavy’ (52%, Velier, Trinidad, 20986 bottles) A huge batch this time, so one of the most famous Caronis, at a gracious strength at that. Oh and of course, when we write ‘Trinidad’, that would be ‘Trinidad and Tobago’. Colour: dark gold. Nose: all what’s to be expected, without any extreme aromas, which is logical with very large batches. Some metal polish, old rusty nails, carbon paper again, fresh concrete, fumes, then rather cedar wood and ‘new magazine’. Pleasantly dry. With water: shoe polish, really, plus cough syrup. Mouth (neat): excellent. Lemon, tar, brine, smoked water (that does exist, you can buy some online! ), fish oil, almond and olives together in some brine, and a little oregano. In short, you could pour this over a proper Italian pizza (not the junk by large chains, mind you). With water: a tad sweeter and rounder. Our beloved Seville oranges are back (posting this while I’m in Andalucia, by the way). Finish: long, tarry, full, satisfying, just not totally and utterly complex. But I just love this style. Comments: not quite 90-material in my book, but we’re oh-so close! SGP:363 - 88 points. Caroni 22 yo 1983/2008 ‘heavy’ (55%, Velier, Trinidad, 1500 bottles) Full aging in Trinidad again. Colour: gold. Nose: a rather rounder, cake-ier one, lighter than some light ones. Could you smoke croissants? It’s much shier than the others, so far. Hints of turnips and celeriac. With water: some soft spices, curry, ginger, speculoos… Mouth (neat): not that light, much good, much lemony, much blade-y, with good tar and liquorice. Perhaps the simplest one so far, but as expected, it still works a treat. Big lemon. With water: the spices come out again. Indonesian goreng, satay, basil, lemongrass… Finish: rather long, with good tar, lemon, and more sharp Asian herbs. Thai basil and such… Comments: all fine, all very Caroni-y, just not the most emphatic of them all IMHO. SGP:462 - 86 points. Caroni 23 yo 1982/2005 ‘heavy’ (62%, Velier, Trinidad, 1360 bottles) Fully aged in Trinidad (and Tobago). Colour: amber. Nose: this time it’s rather the oak that’s speaking out first, with some vanilla, butterscotch, millionaire shortbread… Then chocolate, peaches and pears… Certainly not ‘heavy’, you could even think of Glenmorangie, if that rings a bell to you. Very softish… With water: some muddy, earthy aromas, but otherwise, it remains all softish and pastry-like. Marzipan, notes of new linoleum, leatherette… Mouth (neat): it’s another rum! Sharp lemons, gherkins, zests, grapefruits… You cannot make more blade-y and angular! With water: wonderful now, ink, petrol, lemon juice, almond milk. Perhaps even a little barley water. No? Finish: medium, a little more brine-y. Lemon juice and myrtle liqueur. 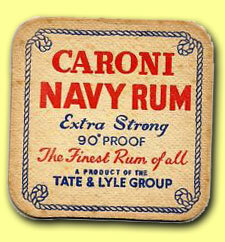 Shoe polish in the aftertaste, this is Caroni after all. Comments: soft at times, roaring at other times, not really ‘heavy’ in any case, but it’s great rum. SGP:452 - 88 points. So you want some heavy stuff? Caroni 23 yo 1982/2005 ‘heavy’ (77.3%, Velier, Trinidad, 123 bottles) I totally love it that at 77,3% vol. (a personal record, I think, unless some Pappy-ish stuff…), they would have felt the need to add that this was bottled at full proof. So let’s burn our nostrils and taste buds.. I mean, let’s try to try it… Colour: amber. Nose: well, it doesn’t quite destroy you, hit you between your ears, and drill a whole into your head, not quite. Nail polish, acetone, and vanilla, I’d say. With water: tarry cakes and liquoricy teas. Shoes polish, lapsang souchong, ashtray, green olives, yellow peaches. What’s not to like? Mouth (neat): it’s a tad bourbony indeed, and gets then very petroly. In fact, this is rather brilliant, you just have to take half a drop at a time. Or M.?L+DY6 you’re DJGr”(gd system error::: dead. With water: wonderful, ultra-sharp, olive-y, brine-y, very lemony, blade-y, ultra-sharp, olive-y, brine-y, very lemony, blade-y, ultra-sharp, olive-y, brine-y, very lemony, blade-y… Right, right. Finish: I sometimes call these spirits ‘blades’. This is a Japanese sword as seen in Kill Bill. Right, a katana. Comments: it’s not often that very high strength spirits are very good, natural low strengths are usually much more complex in my experience. But there are exceptions, such as this Lemmy Kilmister of a rum… SGP:363 - 90 points. Isn’t all this becoming a little too mad? Time to have a very last one, for the road? Caroni 24 yo 1982/2006 ‘heavy’ (58.3%, Velier, Trinidad, 4600 bottles) Look at this colour… Colour: coffee. Nose: some oak in there, but that’s rather cedar wood, cigars, dried flowers, humidor, prunes (and I mean well-ripened prunes), maraschino, liquoricy oak, new teak, thin mints, ristretto coffee, camphory embrocations… You get the drift, I suppose. With water: sublime! Old precious woods, the dashboard of an old Daimler, wood oils, cellulosic varnish, rosewood, thuja, freshly sawn fir wood, tiger balm… Mouth (neat): powah. Cedar wood, Havana cigar, menthol essence, Dutch liquorice, tarry salt, dried grapefruit zests (restaurants put them into their ovens, they’re quite tasty when thin and dried). With water: lemons! Lemon and menthol always tango very well, in my experience and opinion. 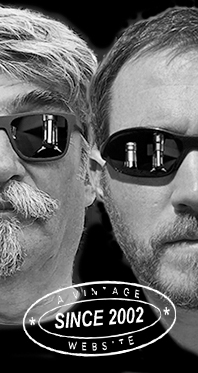 Sure there is some oak, but we remain below any critical limits. Finish: very long, lemony, spicy, with a little ginger and a fistful of coriander seeds. Comments: this one was heavy, corpulent, and actually rather intrusive. Tends to try to take control, do not let him do that. SGP:462 - 89 points.